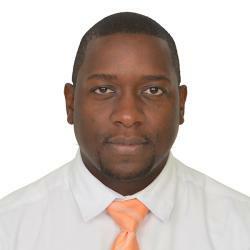 Ruel Edwards is the Director for Economic and Technical Cooperation within the Ministry of Finance. Mr. Edwards is responsible for overseeing all public-sector capital investment projects while being the chief person charged with resource mobilization for Grenada. Prior to joining the Government, he was the CEO of the Marketing and National Importing Board. A former President of the Grenada Chamber of Industry of Commerce (GCIC), Mr. Edwards has lead the GCIC during the implementation years of the Government lead Structural adjustment programme. He has held Directorship on the West Indies Rum and Spirits Producers Association based in Barbados. Mr. Edwards holds an MBA, Master of Leadership in development finance – online (Intake 2016) and is a Chartered Certified Accountant. A former President of the Grenada Chamber of Industry of Commerce (GCIC), Mr. Edwards has lead the GCIC during the implementation years of the Government lead Structural adjustment programme. He has held Directorship on the West Indies Rum and Spirits Producers Association based in Barbados. Mr. Edwards holds an MBA, Master of Leadership in development finance – online (Intake 2016) and is a Chartered Certified Accountant. Approximately two years ago, I began the search for an institution of Higher Learning that would afford me the flexibility to enhance my knowledge, skills and capacity in Development Finance whilst at the same time remaining employed fulltime. Having recently completed the Online Master of Leadership in Development Finance with Frankfurt School of Finance and Management, I can confirm unequivocally and without any reservation that the programme was well designed, professionally delivered and life changing. The course structure which ranged from: Development Finance and Growth, Risk Management, SME Finance, Microfinance and Leadership among others, enabled for rigorous examination of modern thinking that encapsulated models from both the developed and developing countries. Coming from Grenada a small Island Developing State (SIDS), I found the material to be relevant for my jurisdiction. Additionally, the Winter Academy which I attended on the new Frankfurt School campus provided two key experiences; firstly, the calibre of colleagues from all over the world spanning over more than four different continents, which created an environment for intense and robust debate that reflected each of our cultural diversity, backgrounds and views whilst at the same time maintaining deep sense of respect. These networks created are still very strong today. Secondly, the Winter Academy having been hosted at the New Campus of Frankfurt School gave us equal access to the facilities and amenities just like fulltime students. I particularly enjoyed the mix between assignments and final exams which was supported during the term with a web portal that was interactive, user-friendly and engaging. Having undertaken the Master of Leadership in Development Finance – online, my career has progressed from being the Chief Executive Officer of the State-Owned Enterprise to now the Director of Economic and Technical Cooperation with the Ministry of Finance and Economic Development in Grenada. In this new role, I am charged with the responsibility of guiding the development, implementation, monitoring and reporting of the Governments Public Sector Investment Programme. Every capital project irrespective of the applicable sector is now designed with a new paradigm; one of climate resilience, sustainable development and citizen participation. I am also expected to support the effort of resource mobilisation and with a strong understanding of the financing in a development context, the conversation with Multilateral and other International providers of finance have certainly been enhanced. In my case, this has really changed my life. My next step is to move towards pursuing a PhD with the Frankfurt School of Finance and Management in Financing. I intend to explore Development Financing in the context of International Multilateral Agreements such as the Barbados Programme of Action (BPoA) which later gave rise to the SIDS Accelerated Modalities of Action (SAMOA) Pathway and the Sustainable Development Goals. Enjoy the read while I collect my degree from Frankfurt School on 16 November.